ALL BENGAL CONTRACTUAL WHOLE TIME TEACHERS ASSOCIATION: Attention !!! Jader Approval deoya holo sei list nischoi PTT der mato DPI te tanano hobe..... Sei list ta ki blog a deoya Samvab? Hole upakrito hoi..
Great done Prof. Samar Biswas. Thanks from all CWTTs. Many many thanks to Prof. Samar Biswas for continued communication with the Higher Education Minister. But it is noticed that there is no clause at all in the original G.O. & also in the modification of the G.O. 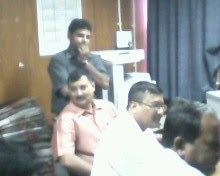 regarding re-engagement of the terminated CWTTs who were discontinued from their services since last April/May,2010. 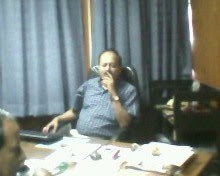 It is suggested that one clasue should be addressed to the Hon'ble H.E.Minister so that they can get proper justice. CWTT der permanent post deoa hocche eta thik, kintu jara self-finance dept gulote royeche jemon Food & Nutrition Science tader niye ki kono chinta bhabna hocche? Jara dhirgho din dhore general dept. er permanent lecturer, professor der sathe bose ekjoge kaaj korche tader niye keno kono chinta bhabna kora hocche na? Era to toally bonchito hocche! Jodi principal council chae j self finance deptment gulo k general dept e convert korte, tahole tara sei chestati korte pare. Tobe e ei bonchito houa CWTT gulo tader next future ekta asar alo dekhte pare. Thanks very much for the efforts all of you put.Please update us about the list of the colleges approved so far.It was supposed to be done from this week. Please update us about the list of the colleges approved so far. what about the full time contractual lecturers from the self-financing professional department like the BBA,BCA so on.Several CWTT work all around the west bengal with the same Status,giving same labor like all other professors but without any proper remuneration and recognition. WHY IS IT THAT IN A PARTICULAR ORGANIZATION 2 PEOPLE IN THE SAME POST HAVE DIFFERENT PAY STRUCTURE ,JUST BECAUSE THEY ARE IN DIFFERENT DEPARTMENTS?